Michael Wood tells the story of King Alfred the Great and his children and grandson. Alfred fights a desperate guerrilla war in the marshes of Somerset. 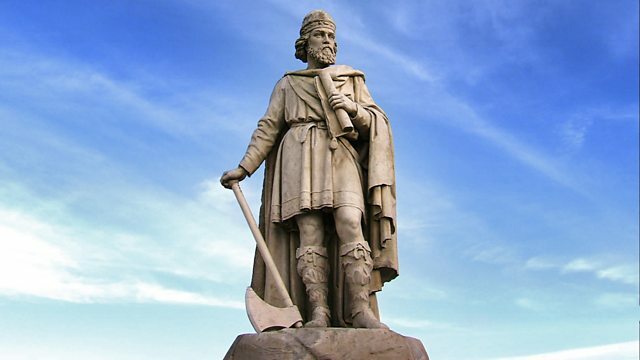 King Alfred the Great fights a desperate guerrilla war in the marshes of Somerset - burning the cakes on the way - before his decisive victory at Edington. Creating towns, trade and coinage, reviving learning and literacy, Alfred then laid the foundations of a single kingdom of 'all the English'. Filmed on location from Reading to Rome, using original texts read in old English, and interviews with leading scholars, Michael Wood describes a man who was 'not just the greatest Briton, but one of the greatest rulers of any time or place'.